Well done to the boys and girls of 4th, 5th & 6th classes who took part in the South Mayo FAI Primary 5s Competition in Ballinrobe on 11th April. 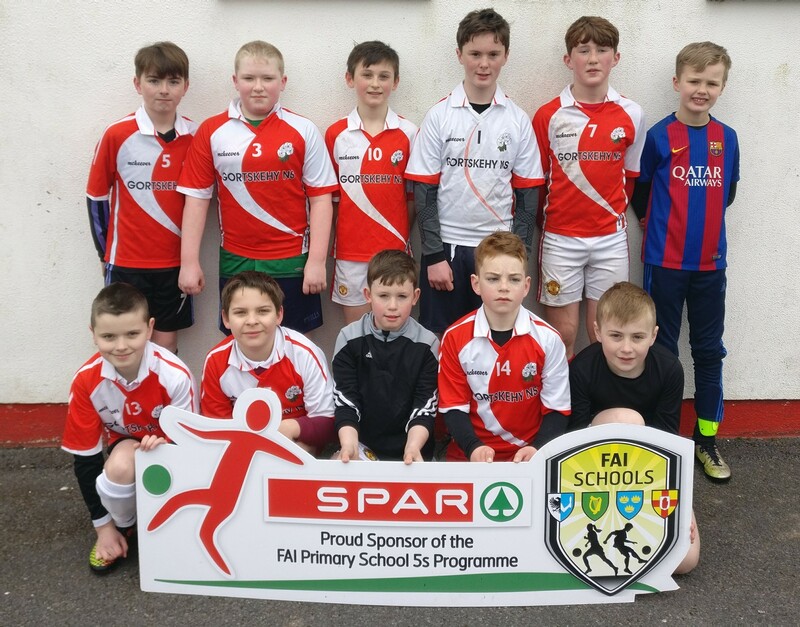 The boys’ team played The Neale & Scoil Chomáin Naofa Roundfort in the group stages. They had a fantastic win against The Neale with brilliant goals from Eoin McGreal (2) and Conor Lydon. Daniel Clarke worked tirelessly up front and Michael McDonagh was strong in defence throughout. Gerard Murphy made some great attacking runs & linking play. Gortskehy gave a great performance against a strong Scoil Chomáin Naofa, Roundfort. Josh Wilkins & Alex Jennings worked hard up front and put Scoil Chomáin’s defence under pressure. Eoin McGreal & Conor Lydon displayed great skill in midfield and created lots of scoring chances. It was a competitive and close encounter and Gortskehy narrowly missed out on at least a draw from this game, losing 1-0. However, they finished runners up in their group and progressed to the Quarter Finals with a game against Taugheen NS. Another well matched & close game with strong performances from Evan Gannon & Cathal Tierney up front and Bradley Murphy in defence. Some courageous saves from Pierce Donnellan kept us in the game right to the end. However, it was not to be and the game finished with a 1-0 victory to Taugheen. 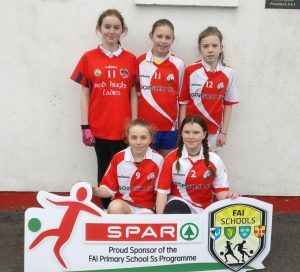 Our girls’ team played 2 games against Kilroe & Taugheen in the girls’ competition. Both games were keenly contested. 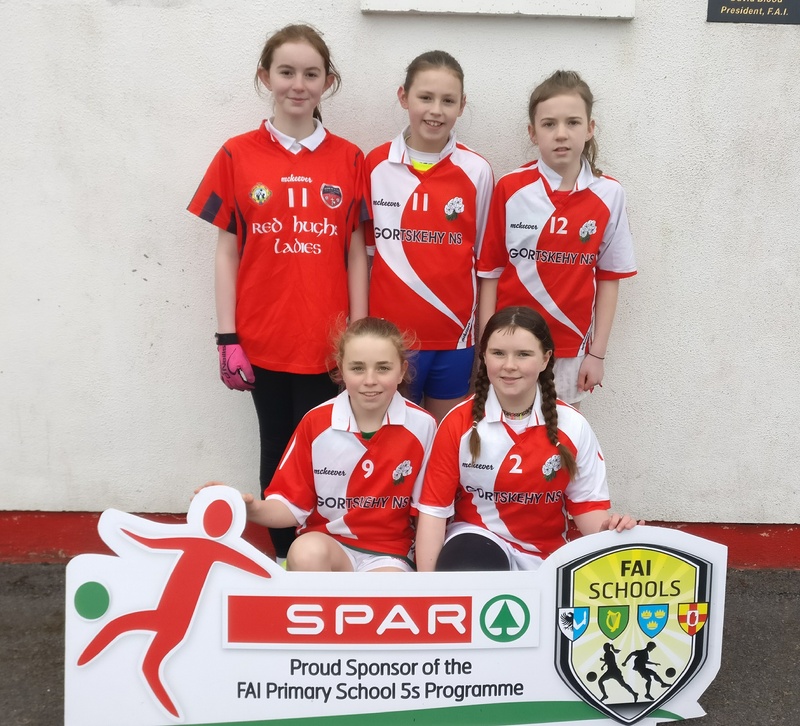 Although the results didn’t go our way, the girls fought hard with some wonderful runs by Jessica Commins, saves by Ruby Donnellan and superb goals from Kellyann Walsh against Kilroe and goals from Sian O’Toole and Olaith Heaney against Taugheen. They all displayed great attacking runs & skill and never gave up. Overall it was a wonderful day of sport. Our pupils showed great sportsmanship and gave a great display of their soccer skills. They all represented their school with pride and they should be very proud of their efforts. Well done to all the participating teams & best of luck to those going forward to the next round. Here are some photographs of our soccer stars in action! Is that your young man i see?? Yes back row right corner. And Tommy’s son beside him !